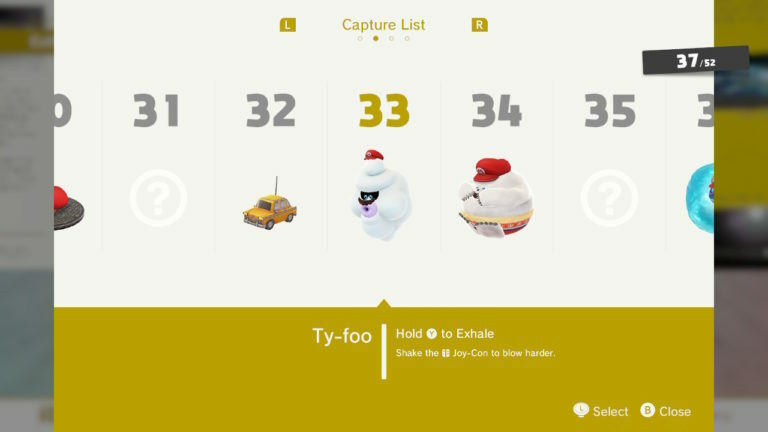 Super Mario Odyssey Guide - How Many Captures are there in the game? | PowerUp! Super Mario Odyssey is out now. It’s an incredible game and it’s also huge. Not to worry though, we’ve got your back with a number of handy guides, tips and hints. 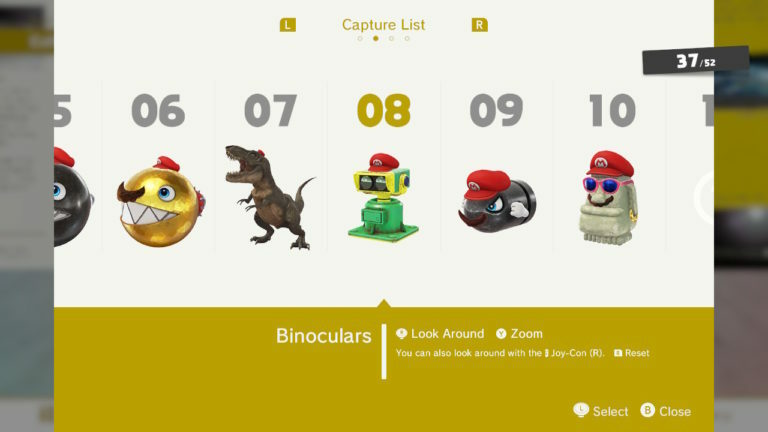 The core to Super Mario Odyssey is capturing enemies and objects with Cappy. 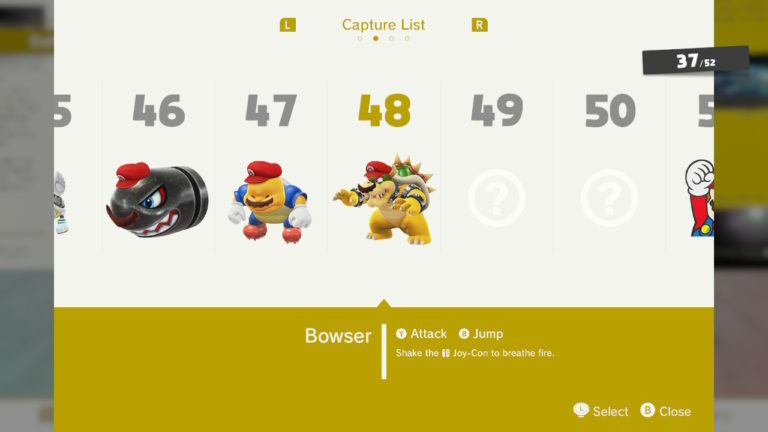 But just how many captures are in the game? 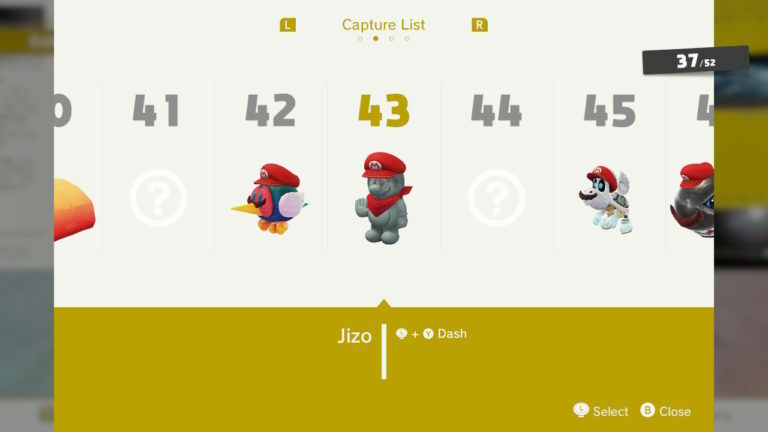 How Many Captures are in the Game? 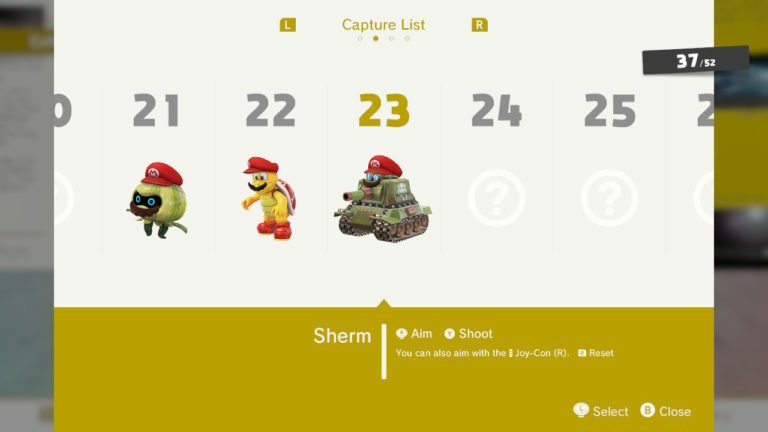 Super Mario Odyssey has 52 enemies, characters and objects for you to capture. 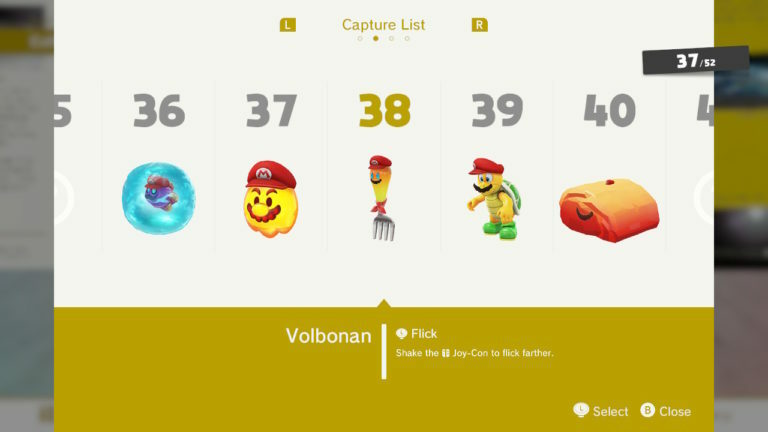 You can view how many you’ve unlocked by pressing Y when on the map screen and then pressing L or R until you reach the page. 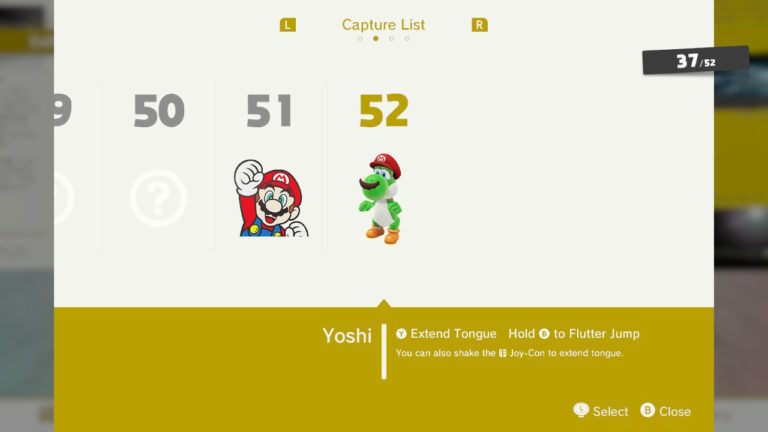 You can also press Y when you’re on the world select screen. ??? Mini Rocket Glydon ??? 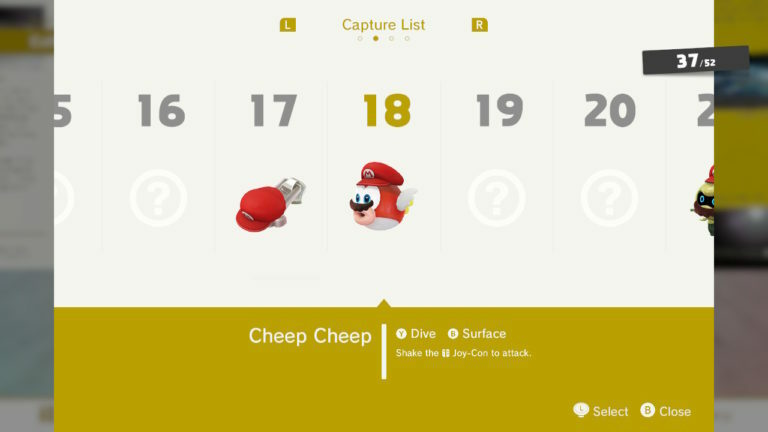 Zipper Cheep Cheep ??? ??? Uproot Fire Bro Sherm ??? Each and every capture serves a purpose. Some are much more specific than others though. The Manhole, for example, can only really be moved out of the way so you can get into the sewer. Whereas Chargin’ Chuck can charge up and run through walls, rubble and other enemies. 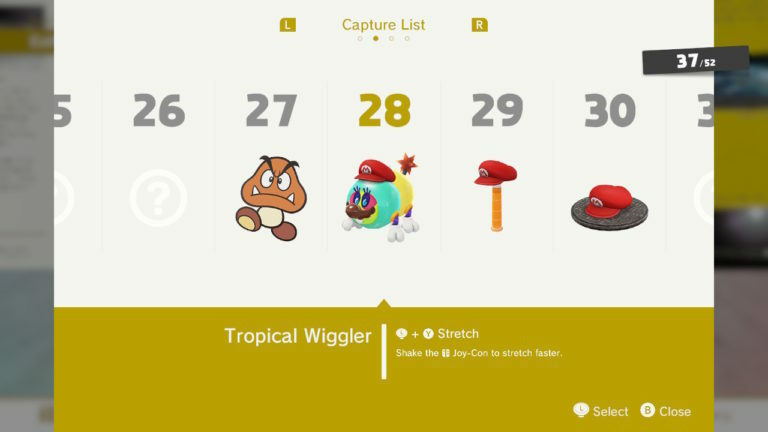 The best part about Capturing in Super Mario Odyssey is figuring out how to use the new abilities you’ve unlocked to solve a puzzle. That, and Mario’s moustache and blue eyes. 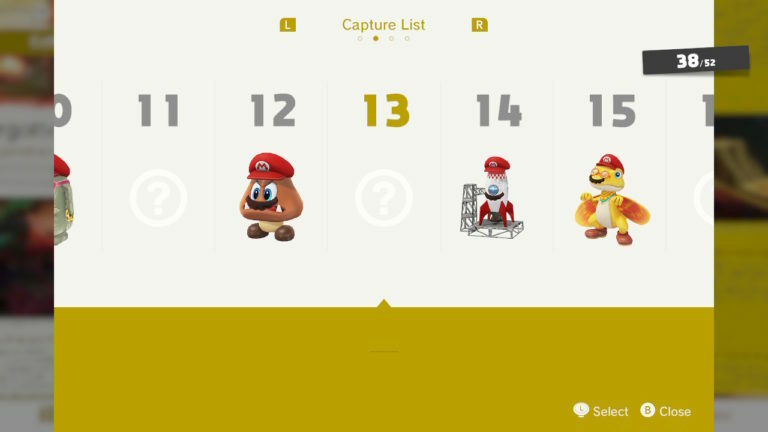 We’ll be sure and update this list as we complete the Capture list.